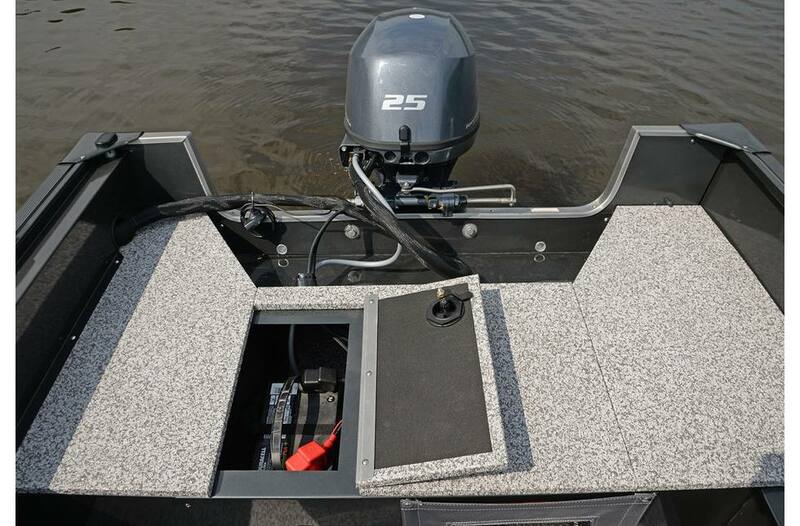 The 165SC Outfitter side console gives serious anglers very rugged and dependable fishing boats that last for years and years. 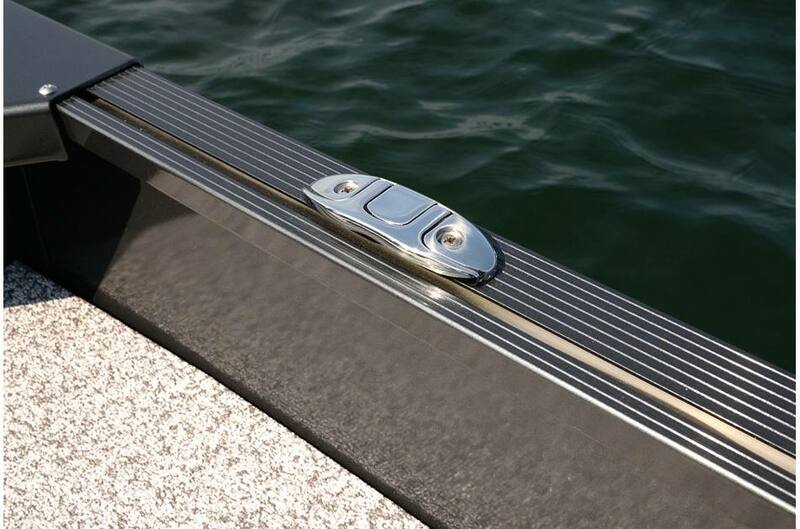 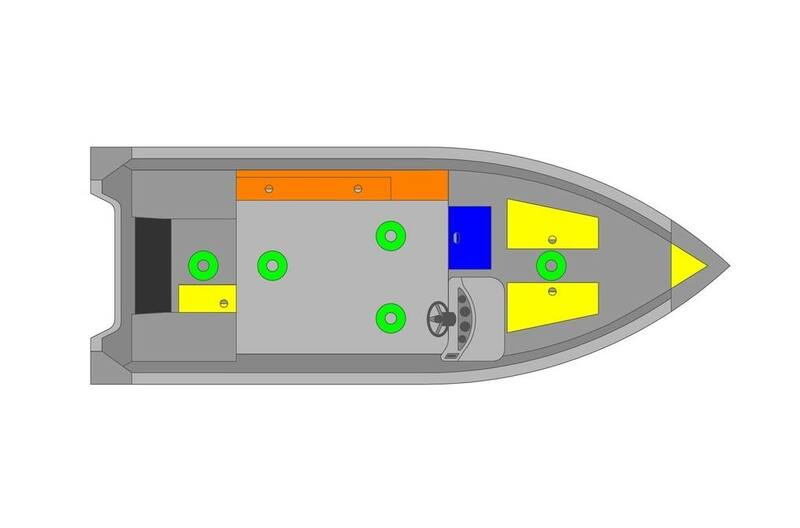 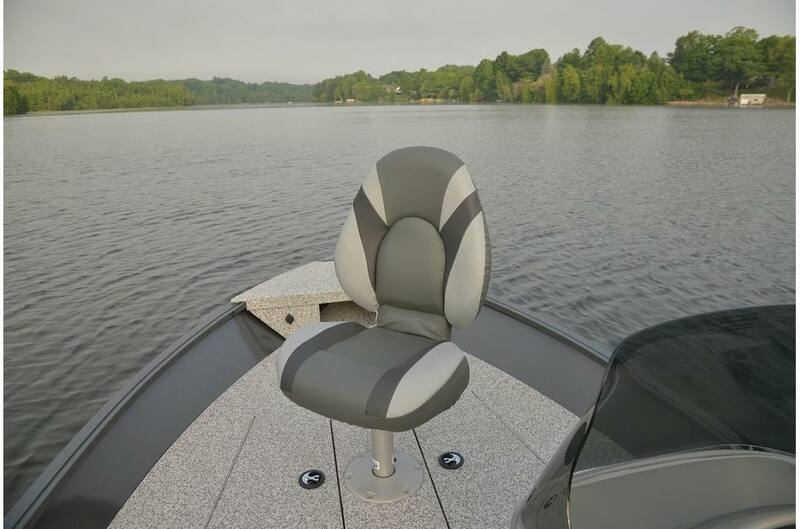 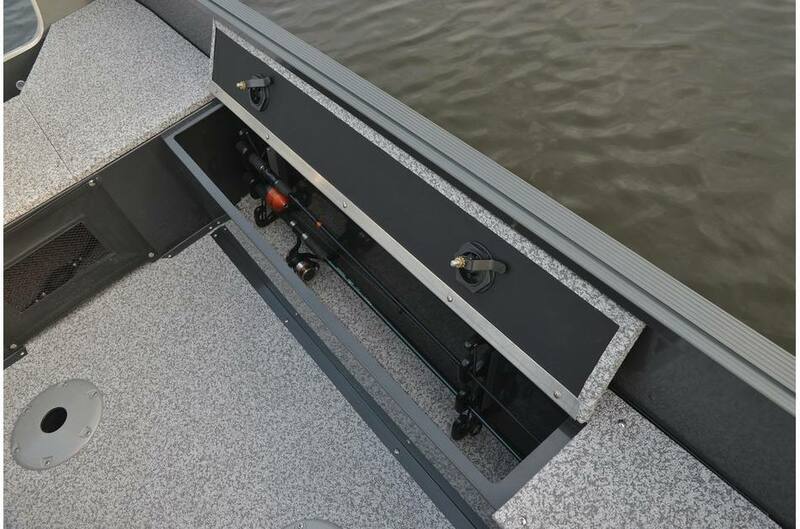 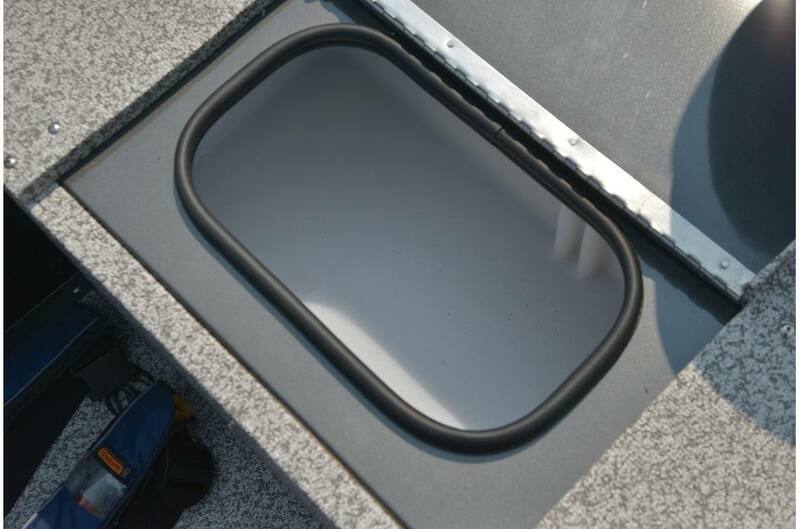 This boat features easy-care, non-skid vinyl flooring. 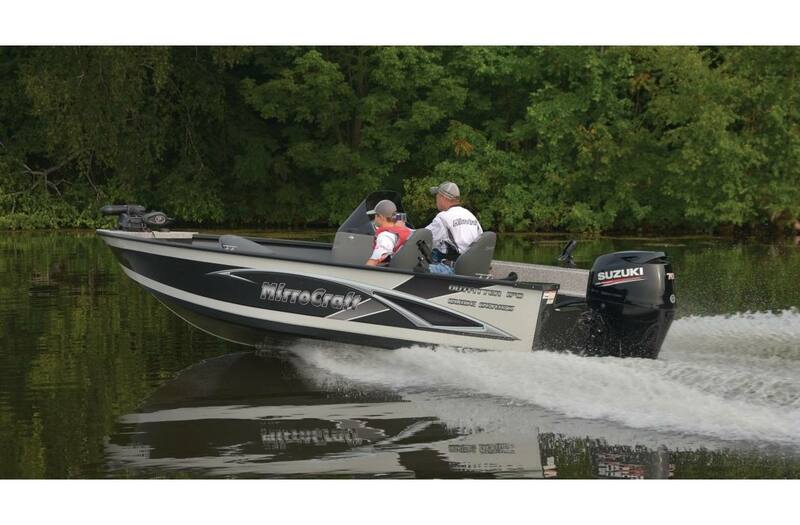 This 165SC Outfitter is red in color. 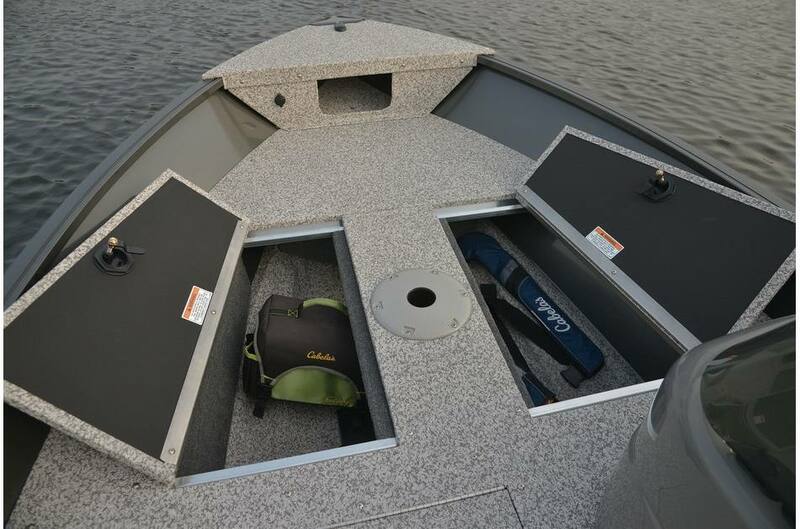 Added options are flip up cleats, an extra seat, a Hummingbird Piranha Max4 depthfinder, and a ratchet cover. 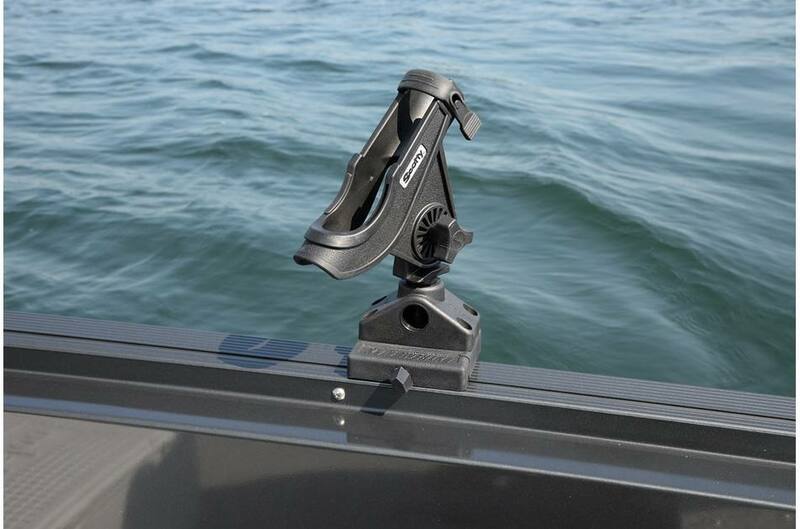 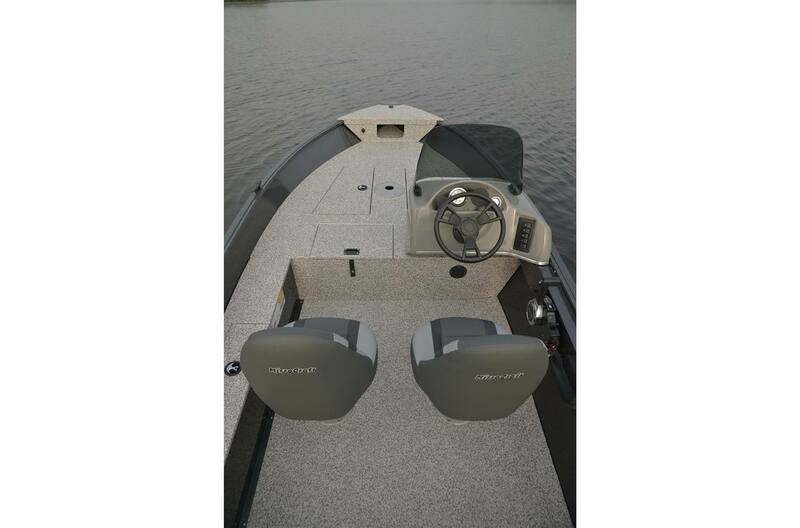 This boat is rigged with a 40HP Evinrude ETEC and has a BRP systems check gauge. 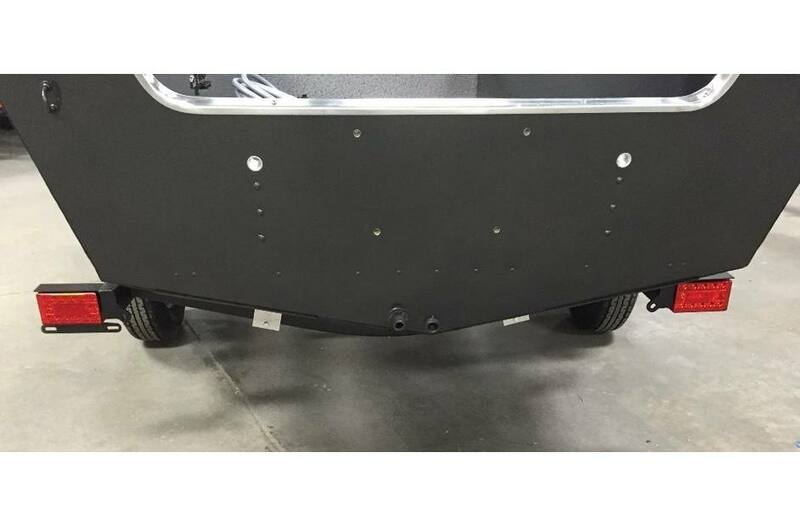 The Karavan bunk trailer has a swing away tongue.